Sydney: Highly venomous jellyfish have stung more than three thousand people on Australia´s northeastern shores in just a few days, authorities said Monday, forcing the closure of several beaches. 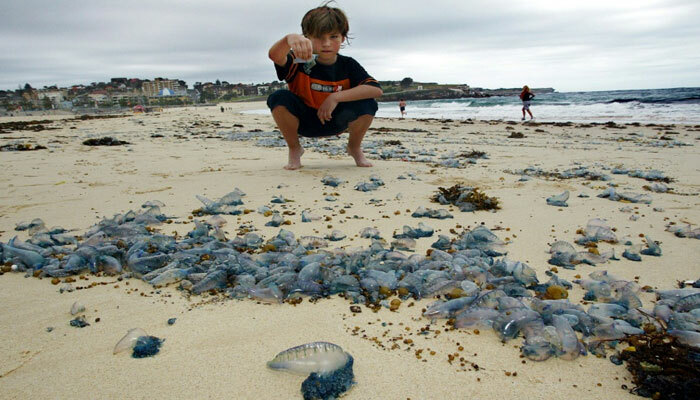 The massive influx of Portuguese man o´ war jellyfish, whose stings are notoriously painful, has been described as an "invasion" by local media in the state of Queensland. Bluebottle stings are a frequent occurrence and it is not uncommon to hear howls of pain from changing rooms along Australia´s eastern beaches during the southern hemisphere´s summer. The doctors´ group describes the symptoms of a sting as an "immediate sharp pain and acute inflammatory skin reaction".